Adele is not in black!!! I may have puked out a few too many exclamation points there but it’s Adele and she’s not wearing black and it was a surprise for me and I thought that, maybe, it might be a surprise for you too and also I’m all jacked up because I’m doing a bootcamp competition tonight so maybe I’m a little aggro. Adele. Not in black. At the BRIT Awards. It’s not just not black either. It’s not even close to black, like grey or midnight blue. It’s far, far, far away from black. It’s a warm, earthy red. 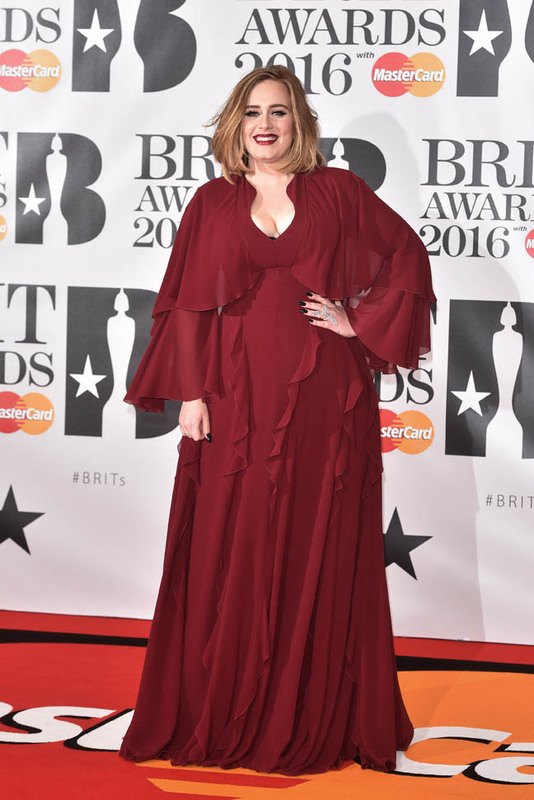 Which she wore for her performance at the Grammys, yes, but a carpet red on Adele is not a usual occurrence. With a matching lip. And, oh my God, that hair. Someone give Adele a hair contract. 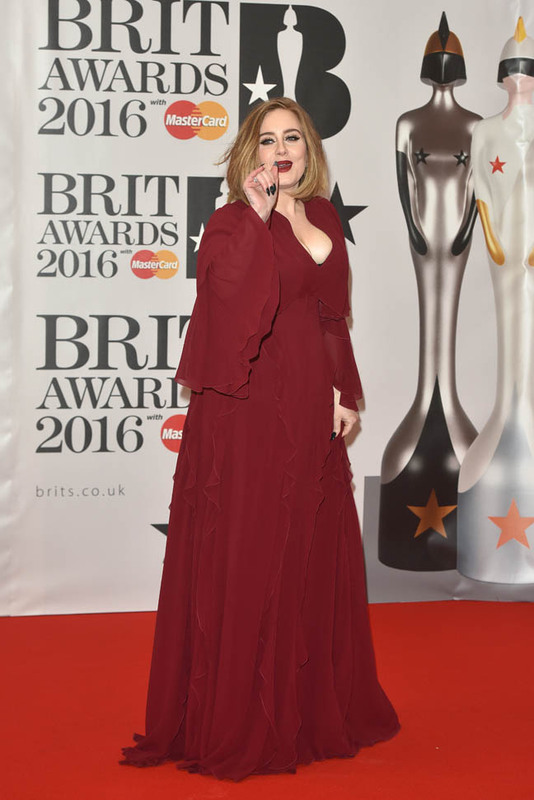 Should we get nostalgic about Adele at the BRIT Awards? Because back in 2011, this is what happened when Adele sang at the BRIT Awards. I know you remember this. And that you’ll never forget it. So. While it may not have been her best at the Grammys last week, there’s a very, very good chance it will be her best tonight. She’ll bring it home…at home.